Each morning before my micro dose of Lupron, per the doctor’s orders, I take a low dose of aspirin (81 mg). It helps thin my blood, which allows the hormones to travel more quickly through my body. This morning I had the bright idea of giving myself the shot standing up. Since there was less excess flesh to pinch on my stomach, I definitely felt the needle more. 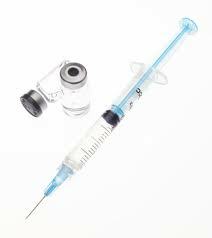 Note to self: Sit while giving the injection; it hurts less when there’s a little muffin top to press the needle into. The shots this evening were smooth sailing. Plus, I figured out another trick. Right before I push the needle in, I close my eyes. I know it sounds completely ridiculous. For some reason, if I don’t look at the needle as it goes in or comes out, I feel less pain. I do the same thing at the clinic when they take my blood. I’m sure it’s mental, but whatever works, right? My next doctor appointment is Monday, July 30th at 8:30 am. The ultrasound will show how my follicles are growing and multiplying (hopefully), which I’m super excited to see! Shots! Shots! Shots! Shots! Shots! Shots!